We'll take a tour of the showroom, inspiring you with our displays and samples and gleaning from you what you like and don't like. Share with us your lifestyle, your cooking habits, your family - we'll build up a picture of the type of kitchen you'd like to have, talk budgets and then arrange to visit your house to continue the discussion. Following on from an extensive site survey where we further understand your spatial needs and cooking requirements your Designer will set to work designing your kitchen. 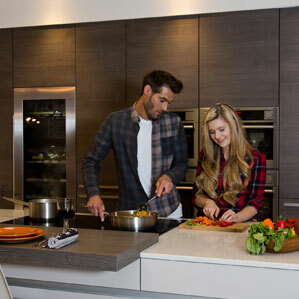 Producing a personalised mood board of colours and textures, your kitchen concept will be worked up, appliances selected and careful consideration will be given to the layout of the kitchen along with any additional adjacent living space. 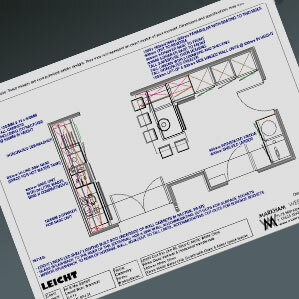 Using the best 3D kitchen design software on the market your kitchen is plotted to the millimetre. In this way we can customise our designs and offer a bespoke service to ensure the best use of space and build up your design. Photographic-quality renders will show you how your kitchen will look. We'll even add the family's pet dog! When you visit the showroom for your kitchen presentation you will be able to 'stand' in your new kitchen - enabling us to better discuss space, colours and fine-tune your furniture. An invaluable exercise. We might need to meet up 2 or 3 times before the design process is complete. Along the way we'll discuss and itemise every component, every appliance. This will all be presented to you in a presentation pack with quotation. Perhaps you'd like a different tap, a higher performing extractor, alternative functions on your oven? 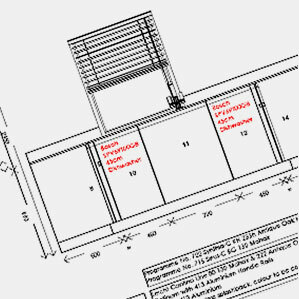 The specification can be tweaked and changed, then once agreed - the order goes in! 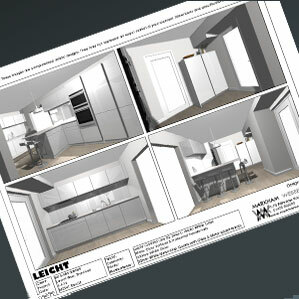 By now you'll have been given a Installation Guide by your Designer outlining the many stages of your new kitchen installation.. whether you require a full removal and room prep, or we are dovetailing into your own construction project, this will be itemised and have been discussed by now, with the relevant site meetings held with all trades required. We'll advise you in this pack of key dates we'd like you to be about for, let you know the various stages of installation and what to expect - arrange access - and we're away! We never lose sight of the fact that the kitchen you're looking for is as individual as you are. That's why we'll work with you to explore your ideas and develop a truly bespoke solution. Using drawings, plans and 3-D visualisations, we'll help you refine your ideas and translate them into a practical and modern new kitchen that will form the heart of your home. Creating your new kitchen is a two-way process, and you can rely on us to guide you through that process and arrive at the kitchen you've been dreaming of.